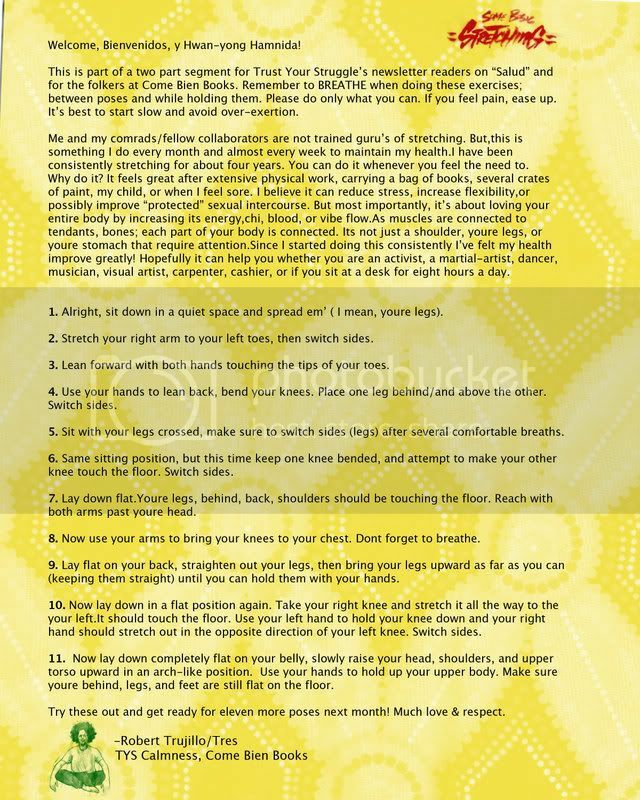 Whut it do blog folkers.Here is the second installment of a 2 part series on Stretching. If for any reason you don't understand the layout or how to do the poses, holler at me. Hope all is well.Peace. 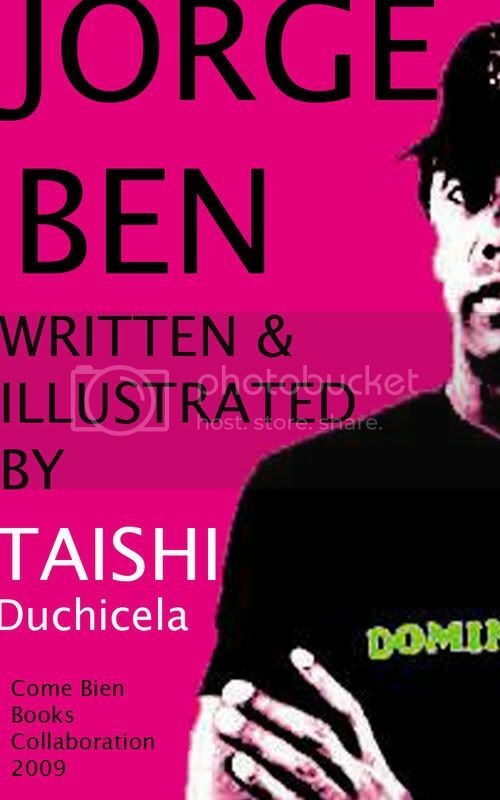 Taishi Duchicela-JORGE Ben 2009 Come Bien Books Collab. This is for the Yah need to know about it section. 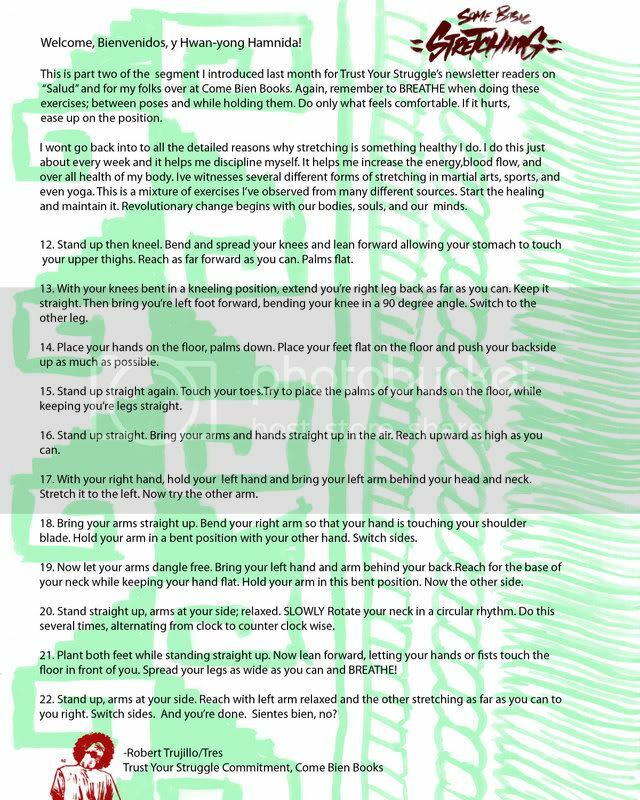 Sorry,the article below it on stretching was also created for the Mighty Healthy section. Please hit up Taishi if you are on Myspace or Facebook to let her know what you think. 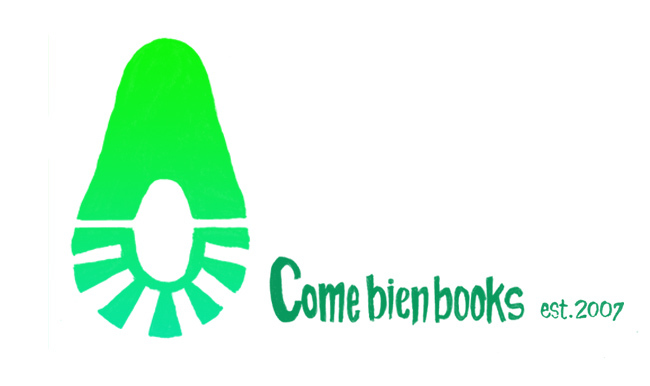 Or if you would like to get in touch with her, email me at come bienbooks@yahoo.com and I will relay the message. Please dont sleep on Jorge Ben, if anyone is knowledgeable about this guy's music its her. And Jorge has some of the illest cuts breakwise and just good brazilian, soul, funky, music wise.peace! 1. Take fotos of all the stretching poses. 2. I then redrew the fotos with a brush and ink. 3. I scanned them into a computer using photoshop. 4. I scanned in a background fabric (dashiki fabric). -adjusted the levels, using the dropper tool to make it dark or lighter in certain places. -Then I changed the doc. back to RGB. -Then i made this yellow layer -adjustment "screen" Thanks ZEES!-He showed me this trick! I did the same thing, only with green and then combined the two on a seperate oage. I usually make the Come Bien articles about 8x10. -I then combined hand written lettering using the same technique. -I wrote out a description and went through several spell checks by eye balling it. -Photoshop doesnt have a spell check, so you have to read it over.